A non-refundable deposit of £150 is required to secure your week. A bond of £150 is required for loss/damage and smoke odour, returnable after cleaners inspection. Passes can be purchased from Haven direct. LOVELY PEACEFUL AND SPACIOUS AREA. NEW Price guarantee Always cheaper than HAVEN or NEWMANS will beat any like for like quote..... NOBODY IS CHEAPER THAN US. Please see Free Extras at bottom of page. Please see our reviews at bottom of page. VERY LARGE LOUNGE WITH LATEST 49" SONY TV . BLUETOOTH SOUND SYSTEM IN CEILING FOR YOUR MUSIC FROM YOUR MOBILE, SOUNDBAR FOR TV. PLAYSTATION 3 FOR GAMES & DVDS, ELECTRIC FLAME MOOD FIRE. TWO LARGE COMFY SOFAS WITH LARGE FOOTSTOOL. 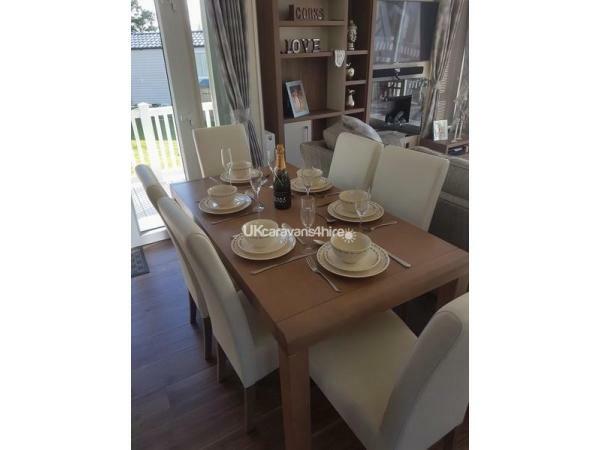 DINING TABLE AND SIX CHAIRS. 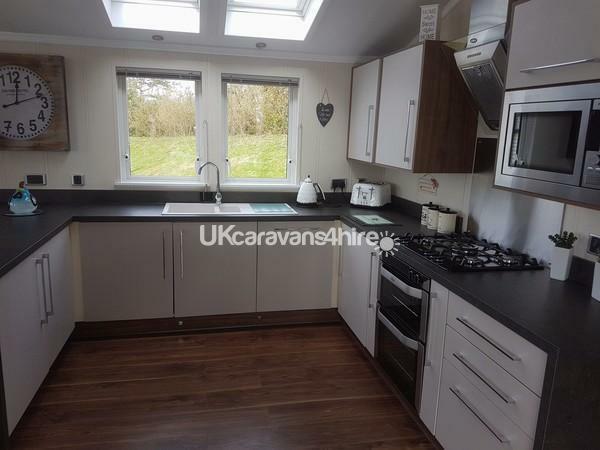 LARGE KITCHEN WITH DISHWASHER, WASHING MACHINE, FRIDGE FREEZER, COOKER, GRILL, FIVE RINGS, MICROWAVE OVEN, COFFEE MACHINE, SLOW COOKER, TOASTER, KETTLE, TWO BAR STOOLS, VELUX SKYLIGHTS ABOVE KITCHEN. 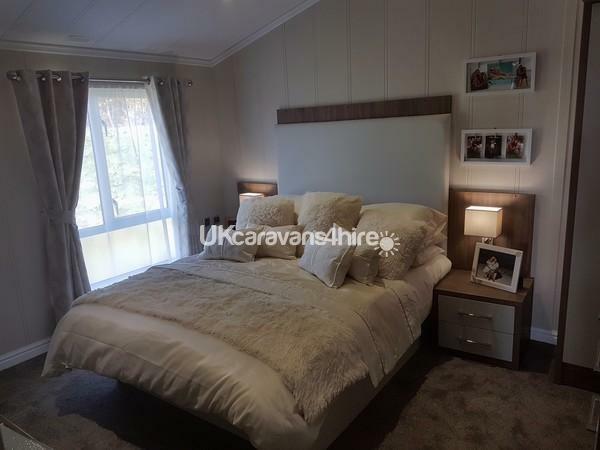 BEDROOM ONE WITH KING SIZE BED, 49" SMART TV, DRESSING TABLE WITH MIRROR, STOOL, FITTED WARDROBES, HAIRDRYER, STRAIGHTENERS. BEDROOM TWO WITH QUEEN SIZED BED, OR TWO 3FT SINGLE BEDS, 32" TV, DRESSING TABLE WITH MIRROR, STOOL, FITTED WARDROBES, HAIRDRYER, STRAIGHTENERS. BEDROOM THREE, TWO SINGLE BEDS, WARDROBE, 32" TV. 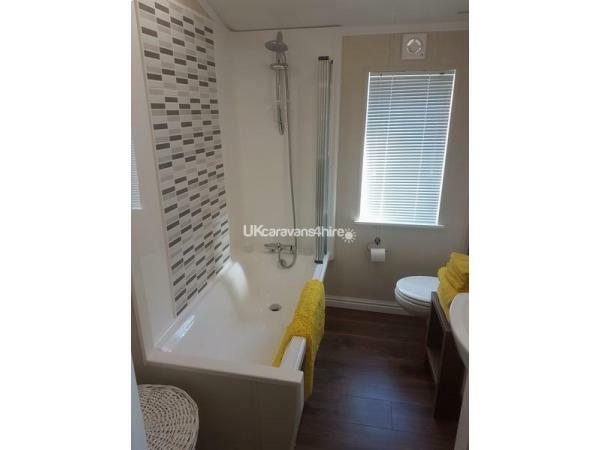 FAMILY BATHROOM WITH UNDERFLOOR HEATING, BATH & SHOWER, SHAVER POINT. EN-SUITE WITH UNDERFLOOR HEATING, SHOWER, SHAVER POINT. 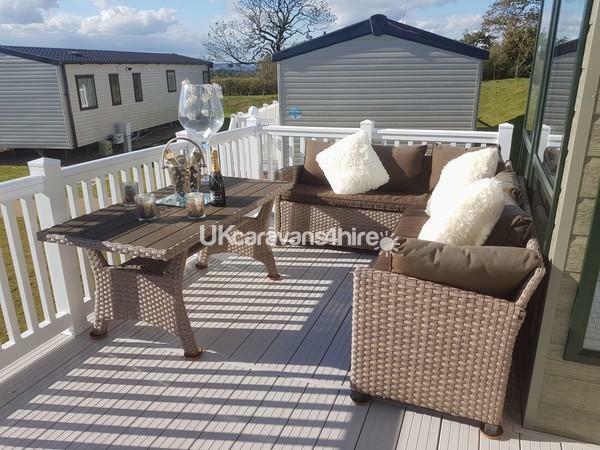 FULL WRAP AROUND DECKING WITH TWO LOCKING GATES, TWO RATTAN SETTEES AND TABLE. ALSO SEPARATE TABLE AND FOUR CHAIRS AND GAS BBQ. THIS REALLY IS HOME FROM HOME LUXURY WITH ALL THE ADDED EXTRAS. DUVETS AND PILLOWS LINEN INCLUDED. CENTRAL HEATING, DOUBLE GLAZING, PHONE CHARGING POINTS, WIFI. EXTRAS : At no extra charge not available with Haven or Newman's. OWNERSHIP CAN BE VERIFIED WITH HAVEN. Please note all our let's are Saturday - Saturday. What a lovely review, thank you so much. We are very pleased you enjoyed. We are going to add even more things next year. We stayed here for one week with family and our young children ages 8 and 2. 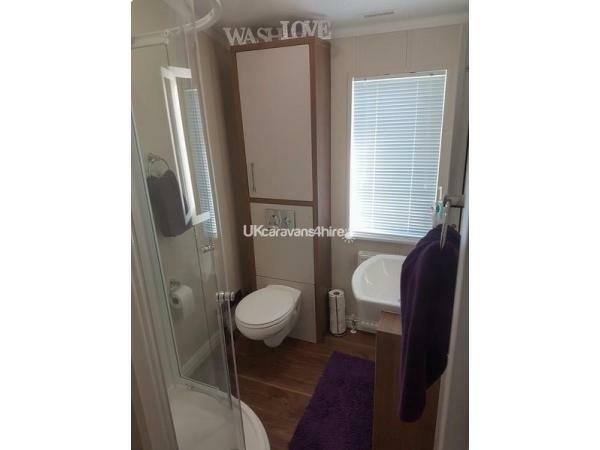 First impressions were ‘wow’ with nice added extras........Lovely to have the use of a washing machine and dishwasher and all the mod cons that you could want....... Unfortunately when we went to put our children to bed the first night we noticed that the bedding was absolutely disgusting with stains and hairs all over sheets and pillows Which we couldn’t possibly use so luckily haven gave us the use of bedding, sheets and pillows for the week. A couple of days later someone turnt up with more clean bedding and sheets but we kept the haven bedding on. 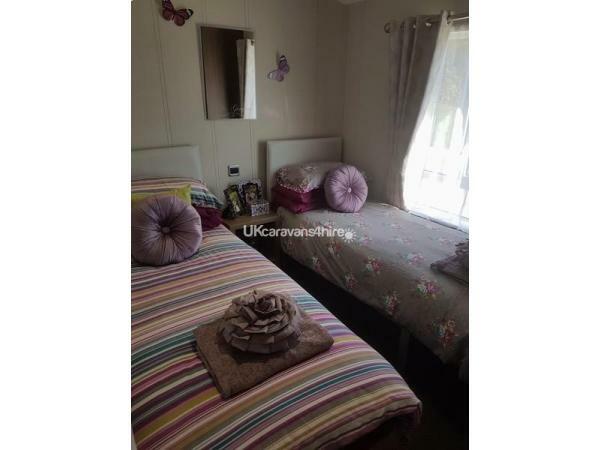 Not really what you’d expect from a 5* caravan so was left feeling very upset and disappointed. We did everything in our power to make these guests as comfortable as possible, We do not live near by, so franticly made phone calls on our guests behalf to rectify the situation as quickly as possible. The cleaner responsible was immediately sacked, and a new one hired who delivered fresh laundered bedding in a very short time. We take any problems very seriously and are always only a phone call away to help if needed. This is the first time we have had any problems with cleaning at the Lodge, it was dealt with swiftly. We are indeed sorry for any inconvenience caused. Please also look at All our other reviews 10 /10 Paul and Lisa. Stayed for a week in this beautiful caravan. 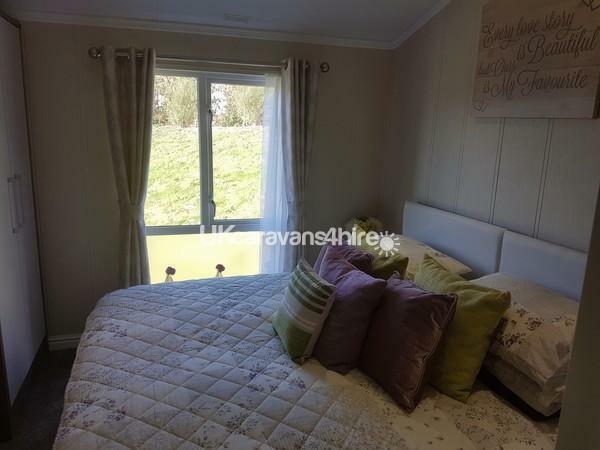 Great position with a sea view, good area surrounding caravan for kids to play. Lovely and clean with everything needed to make the stay perfect. The WIFI was a hit with my older son. Communication from owners fabulous. Really worth the money. Had a fabulous holiday. 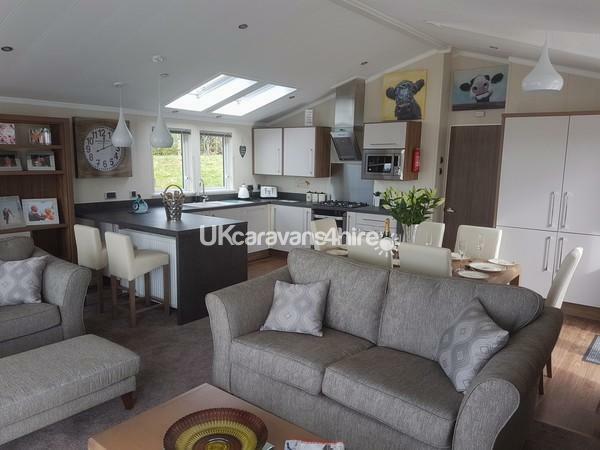 Fantastic lodge, we mirror all the previous comments, fantastic view over the bay and nice quiet location on the site with very good space between other homes. We would definatly stay again, a true home from home. ???????????? What can you say that the photos do not, absolutely stunning lodge and view, all the mod cons and luxury. You really do get what you pay for with this lodge (quality). Quiet area of park, sea views you will not be disappointed. Paul and Lisa are on the other end of a call or text with any queries. You will not find better. I know I am very fussy but would not hesitate to return. Your very welcome. Thank you for the review. Absolutely beautiful holiday home. Stayed for the weekend with family, really is like a home from home. Everything you could want in a holiday home and more. Nicely decorated, clean, comfortable and nice peaceful location with beautiful views. Booking was easy and smooth, any information I needed was provided by owners Lisa and Paul. Would highly recommend and we will definitely be back. 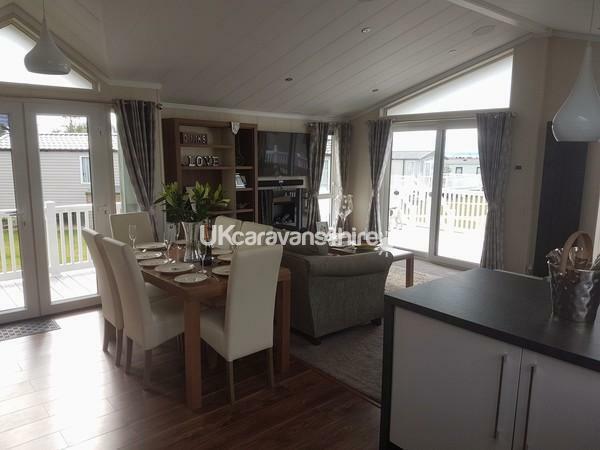 Amazing caravan, definitely had tge wow factor. Everything we wanted and more. We made full use of the facilities, the decking, soundbar, wifi, bbq, dishwasher and the washing machine. Smooth easy booking and communication with caravan owners Paul and lisa, reassured they were at the end of the phone if we had any questions queries or concerns. A* hiliday loved by a family aged 15-72. Would highly recommend. This caravan was amazing with all the mod cons you could ask for. We have stayed in many caravans over the years but I've got to say this was the most luxurious caravan we've stayed in, we couldn't ask for anything better.The owner Paul gave me all the information I needed for a comfortable stay we will definitely be back. Beautiful caravan! Home from home. Everything you could need, clean and comfortable. Having the washing machine made our holiday that much easier, especially when coming back from the trips to the beach, the hose outside was also a godsend to wash off any sand. Best caravan I have stayed in. WIFI was unexpected and it made our stay that little more comfortable knowing my oldest son 14 was amused. 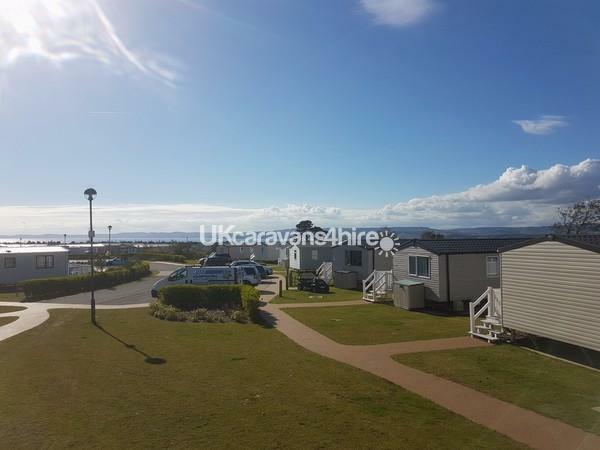 Thank you glad you enjoyed your stay..
Wow, Wow, Wow Just returned from this holiday home having stayed in many caravans at various holiday parks we can honestly say this is the nicest holiday home we have ever stayed in. Very well furnished and had everything you could possibly want on hand. The owner Paul was great from point of booking through to arrival. Added extras we didn't expect included was the use of the gas BBQ, Rattan outdoor furniture with cushions and the kids favourite WIFI! I would 100% recommend this to friend and family. Thank you glad you enjoyed your stay.